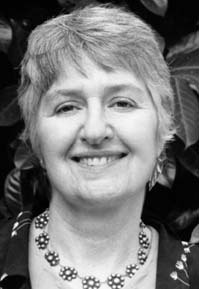 Miriam Lisa Clavir writes traditional mysteries set in museums or on archaeological excavations. She was born in Toronto and grew up within walking distance of the Royal Ontario Museum. She graduated from the University of Toronto with an Honours BA in Anthropology, from Queen’s University with a Master of Art Conservation, and in mid-career from the University of Leicester, England, with a Doctorate in Museum Studies. Miriam has worked for the Royal Ontario Museum, the National Historic Sites Service, and for many years the Museum of Anthropology, University of British Columbia, as their first and later Senior Conservator. Author of many conservation articles, in 2002 she published a scholarly book, Preserving What is Valued: Museums, Conservation and First Nations, with UBC Press, winning a prize for excellence from the Canadian Museums Association. Miriam and her husband, the poet John Donlan (whom she first met at the Museum of Contemporary Photography), divide their time between rural Ontario and Vancouver. Though she has been writing almost daily since the age of seven, Pat is still new to the crime-fiction world. Just the same, her non-writing life seems to have been specially designed for just such an adventure. In high school, she worked as a journalist, proofreader, copy editor, and general dogsbody for a municipal newspaper. A graduate of the University of Toronto at Mississauga (B.Sc. Psy 2000), she majored in psychology, sociology, and philosophy. During her four hectic years at university, she volunteered at the Queen Street Mental Health Facility at Toronto, worked full-time as a security guard at the Whitby Mental Health Centre, Forensics Department, and joined the Canadian Armed Forces Reserves, Infantry! After graduation, she devoured literature of all kinds and began writing Old Time Radio Plays, which set the tone for the work she does today. By contrast, Pat’s life today is slow and easy, working a regular 9-to-5 at a major telecommunications company in Montreal. And Montreal has done her well! Despite her hectic schedule in the late ‘90s, Pat had always been prolific; after settling into a whole new life in Montreal, her creative spark went supernova. Between November 2007 and June 2008, she wrote seven full-length novels, including Mummer’s the Word, which was a finalist in the Arthur Ellis Awards, 2008, for Best Unpublished First Crime Novel (The Unhanged Arthur). Although right now her novels are unpublished and her plays unproduced, here is just a sample of the great things in store! 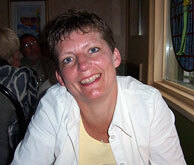 Lorie Lee Steiner is a freelance writer, photographer and old house fanatic. Born and raised in Paris, Ontario, she enjoyed a memorable sojourn in the Ottawa Valley (2003–2006) and now resides in Brantford, the Telephone City, not far from her early haunting grounds. She is chair of the Bell Homestead National Historic Site Committee (2009-2010) and spends much of her free time searching for clues along the canal with her canine best friend. A self-proclaimed history nut, Lorie brings her love of the past to life through non-fiction articles featured regularly in The Country Connection and Edifice Old Home magazines. On the fiction front, her short story “Cobwebs” was published in the Ladies’ Killing Circle Crime and Mystery Anthology, Going Out With a Bang, Rendezvous Press, Fall 2008; and "Dust to Dust" debuted in the Canadian short story collection, Below the Canopy, Polar Expressions, Nov. 2009. Entranced by all things mysterious, Lorie is now crafting her first novel – a classic whodunit inspired by the quirky 1860 cottage she shares with her ever-supportive husband, Jeff, and their kooky collie/retriever, Tobe. “The Sunken Palace of Istanbul” in Learning Through History Issue 2 Vol 5, Classic Education Inc.
C.J. Papoutsis worked for the BC Provincial Government for 35 years—15 as a legal secretary in the Ministry of Attorney General, where she got her taste for crime. A closet writer for most of her life, she was liberated from the public service in 2003 and took up writing short stories. 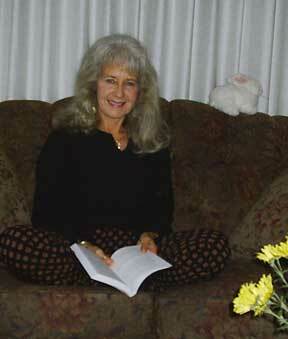 “Mother Always Kept a Gun,” her first published crime story, was included in the Christmas mystery anthology, Blood on the Holly (Baskerville Books, 2007). C.J. and her long-suffering husband live in Victoria, BC, where she imagines crime everywhere and fishes for red herrings in Oak Bay. Robert Taylor is a retired federal public servant who lives in Ottawa. Starting out as an arts archivist, he worked in various government positions, including constitutional advisor, advisor in cultural policy, and member of a national committee that commemorated the fiftieth anniversaries of the Second World War. A graduate in Modern History from the University of Toronto, Robert Taylor has a Ph.D. in Canadian history from McMaster University. He taught the history of the United States at Carleton University for a number of years and was a member of the editorial committee that oversaw the publication of the collected works of Canadian poet A.M. Klein. He has exhibited, and sold, as a visual artist. For the past decade, Robert Taylor has been compiling an annotated bibliography of religion in crime fiction, entitled Holy Homicide: A Readers’ Guide – Christian Cases. The bibliography, still in progress, now has over 1000 entries. Holy Homicide focuses on book-length works that have a priest, minister, pastor, nun, monk, or other religious worker as sleuth; a religious setting; or a religious theme. Its organization is by denomination. Each entry provides a full bibliographical description, a short biography of the author, a description of the sleuth if a series, and brief commentary on the book. With a few exceptions that are noted, Robert Taylor has located and read every book that appears in the bibliography.